I was in the ninth month of my remodeling house “pregnancy” and I was like a woman in labor who had simply run out of strength to go any further. What was supposed to take three to four months turned into nearly a year and a budget that had quadrupled. I was spent, depressed and ready to kick out the next contractor who asked for a check. Anyway, I saw this big old house overlooking the Hudson River with a breathtaking eastward view and since I’m fixated with sunrises, well, I got in over my head. That’s how I got into the fix. At my lowest point during this endless construction and the surrendering of my “retirement-type money” into the rough hands of the contractors, I was sitting in the unfinished cupola on the fourth floor and happened to glance down at our little well house. I must have succeeded in returning to my childhood because I bawled like a kid when I noticed it for the first time. 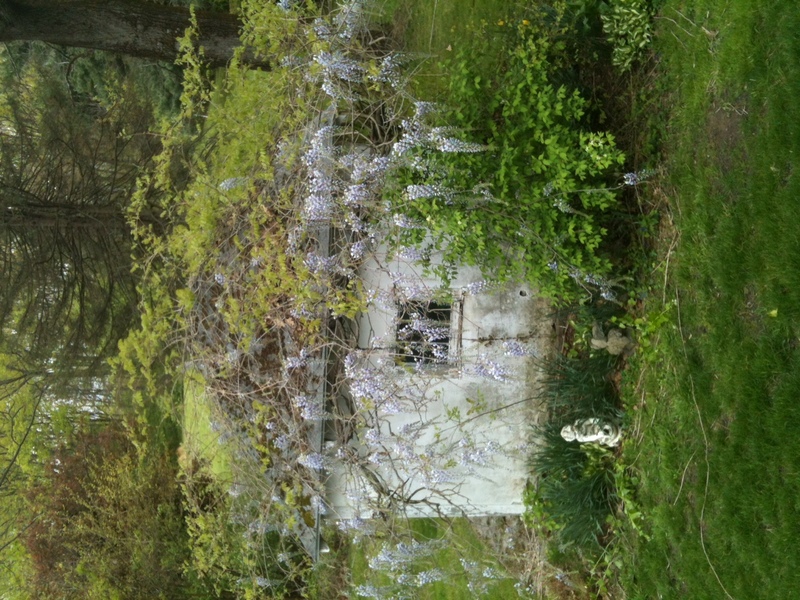 Like a note of reassurance, covering the entire well house, were the most luscious and vivacious vines of wisteria with incredibly generous clusters of my favorite violet and purple pallet and a fragrance to beckon romance back into my pitiful heart. 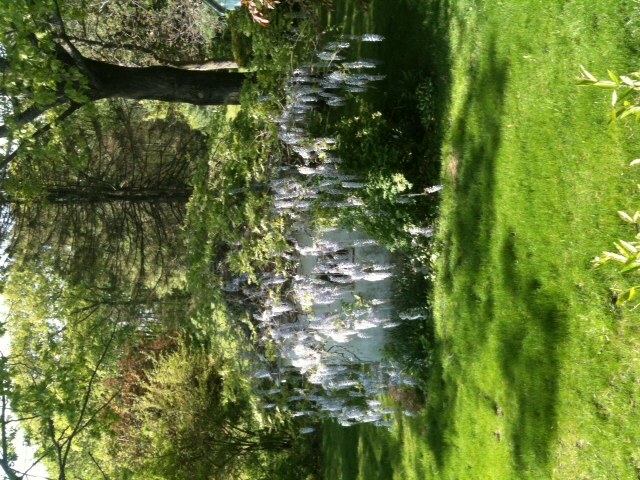 Wisteria only make cameo appearances. Why at that exact moment, eh? Heaven happened to be the return address on that “card” that was addressed to mewas addressed to me and it helped me “deliver” the baby of my dream house – one that brings out the kid in me and gave me another run at childhood…through the eyes of my grandchildren. It is now one week before Christmas and Brahms Lullaby plays softly as I look upon the wonder of our Christmas tree and take note of one particular ornament: “Grandpa.” The words are inscribed between a couple of candy canes and a heart. I’m about to welcome another grandchild this Christmas season. We get to unwrap another baby! The news, the lives we share, illnesses, death, loneliness and the hurt so many feel at this time of year belies that everything is under our control. We don’t have it covered. We sin. We hurt others. We get entangled in rationalizations that would make the most perplexing labyrinth seem like child’s play. In general, God better be wide awake.